Todd Rundgren’s Musical Revival Camp took place at Full Moon Resort in the heart of the Catskill Mountains in July, 2012. 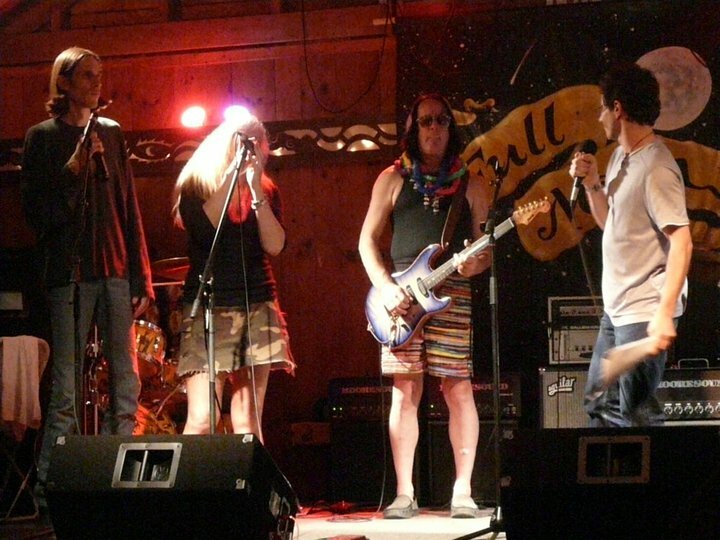 This was Todd’s second year back at Full Moon. Last season, through a custom interdisciplinary curriculum designed to inform and energize, he shared the wisdom and foresight which has led him to be one of the industry’s most reputable survivors. A typical day at Todd Rundgren’s Musical Revival Camp includes three gourmet meals, counselor-led activities, evening entertainment and late night jams. This year’s Revival Camp included “Camp Counselors” Mark Volman whose lineage includes The Turtles, Frank Zappa’s Mothers Of Invention and Flo & Eddie as well as R.E.M.’s Peter Buck will also be there as well as a third high-profile guest to be named later. This event will feature evening jam sessions with Rundgren, bassist Kasim Sulton (Todd Rundgren’s Utopia, Meatloaf), guitarist Jesse Gress (Todd Rundgren, Tony Levin Band, Guitar Player Consulting Editor) and drummer Gregg Bendian (Interzone, The Mahavishnu Project, The Musical Box), along with the guest celebrity of the day.